VILLAS AND APARTMENTS TO RENT IN GIRONA, SPAIN. 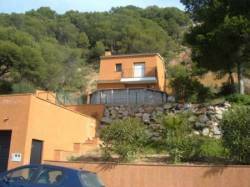 Welcome to our selection of holiday homes to rent in Girona, Spain. Sometimes a holiday becomes worthwhile, even in the most unlikely of places. Girona is one such example of a place where you can relax, unwind and catch up on history on your holiday. There are many things you can do on a trip here. The Girona Cathedral is a 15th century cathedral and has the second widest nave in the world. It uses four architectural styles that harmonize beautifully with each other. It is well laid out with light switches that allow visitors to illuminate the chapels they are visiting. It has an audio guide that is very informative. There are also two hand copied Bibles from the 13th century here. At the back of the Church is a display by models that show the surroundings through the centuries. This is a beautiful museum that is a must visit for anybody with even a passing interest in cinema. The presentation is fantastic and starts from the beginning of cinema to the present day that includes exhibits from puppets to pin-hole cameras to the movie cameras. There are also many hands-on exhibits to give you a feel of the real thing. It is quite well organised, which makes it very enjoyable. Girona Art Museum is set in the former Bishop�s Palace, a building that even finds a mention way back in the 10th century. You can enjoy the beautiful art displays that range from Romanesque times to the early 20th century. It is very well organised and not crowded. There is also a superb garden in the premises that is sure to take your breath away! Hire a bike to set forth on your own mountain bike holiday. This is a one-stop shop for services and information for cycling enthusiasts who want to set out on their own. You can hire bikes, equipment, besides guiding services to make your biking trip most enjoyable. Get a peek into the lives of the Jewish people who once lived here. There are models of how the Jews dressed and lived in Spain during the 12th century. This place was completely wiped and lost to history until its discovery in 1970. The Museum also highlights the contribution of the community to the Catalan culture, as well as the tragedy of its demise. Besides these, there are other historically relevant Churches and Monasteries that dot the region and are well worth a visit. A trip here takes you back in time in a manner that is most revealing. Looking for self catering holiday accommodation in Girona? Then below is a selection of holiday apartments in Girona and holiday villas in Girona that can be rented direct from their owners. You can either click on each listing for further details or you can use our search engine on the left if you are looking for something in particular.